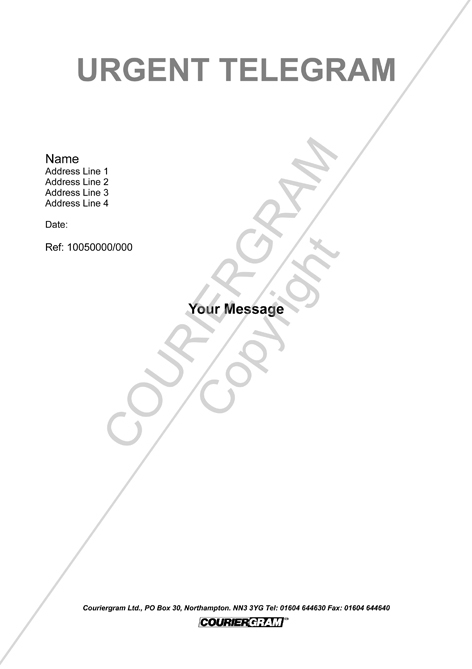 Send a Telegram for a cost effective message with an impact. If you wish to send more than one Telegram please call 01604 644630. Account facilities are available for regular users, please call for further details.